“Designed in the UK, but nowadays probably manufactured elsewhere, these beautiful “tin” (in reality steel with an over-printed design) plates are ideal for your posh or not quite so posh picnics. 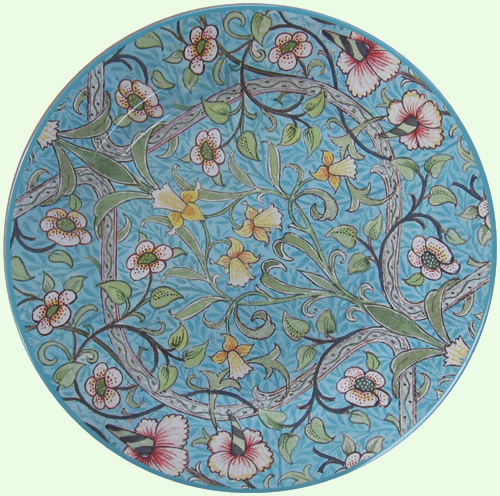 So whether your taste is Glyndebourne or Henley, or the local beach or park these plates make fantastic re-usable and un-breakable picnic plates that are bound to set tongues wagging. 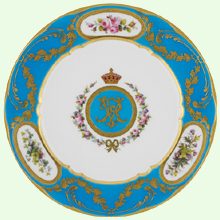 Robust yet light and washable (if in a dishwasher on a gentle programme) and when the conversation flags can even be used as a Frisbee! 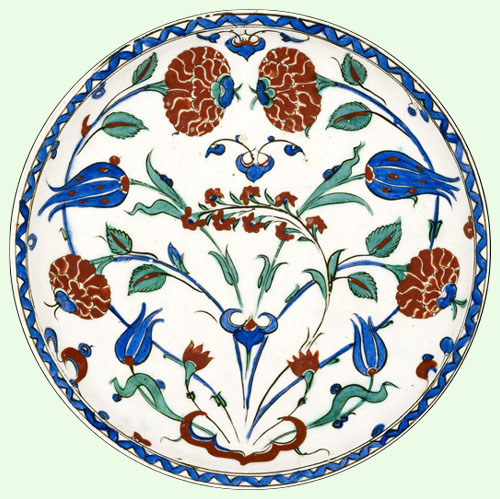 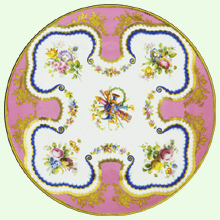 All the plates are identically sized with a diameter of 10 inches/25.4 cms. 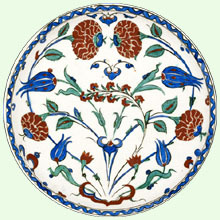 Mouseover/click Images for larger image. 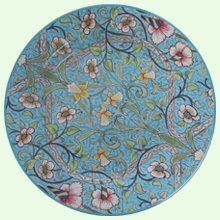 See also separate product page for matching bowls. 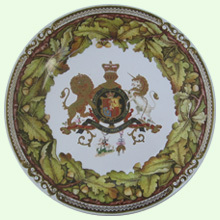 Made by the Minton factory and acquired by Queen Victoria in 1877; the centre shows the Queen's cipher and the reserves in the surrounding borders show the national emblems of roses, thistles and shamrocks. 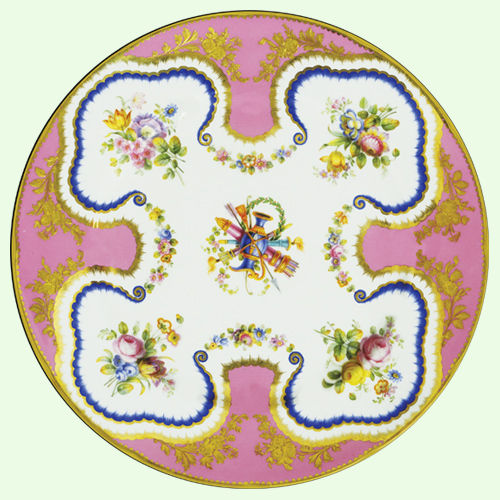 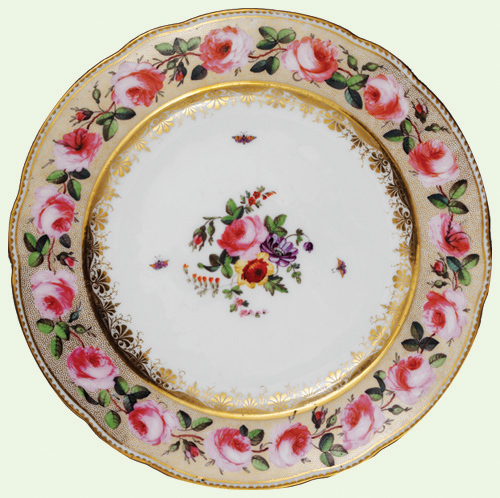 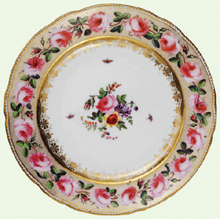 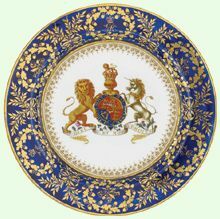 Part of a breakfast service commissioned by George III from the Worcester factory in 1805; the centre is decorated with the royal arms and the border shows oak garlands enclosing the crowned cipher of George III and sprigs of national flowers tied with ribbons. 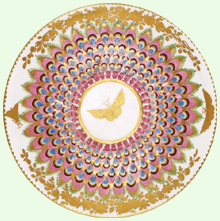 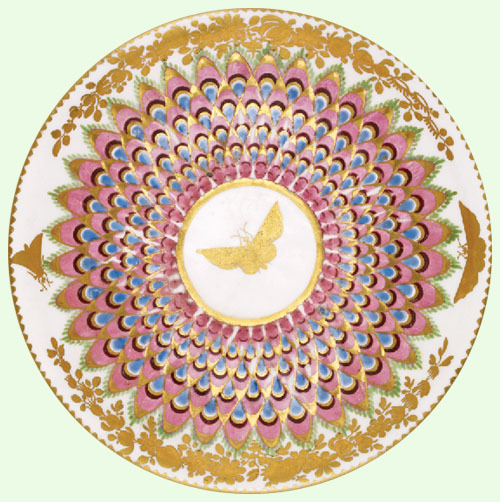 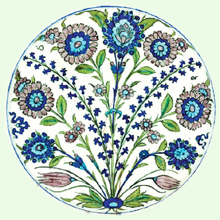 This design is taken from a Coalport Porcelain Factory plate, painted by William Cook, Shropshire,1850. 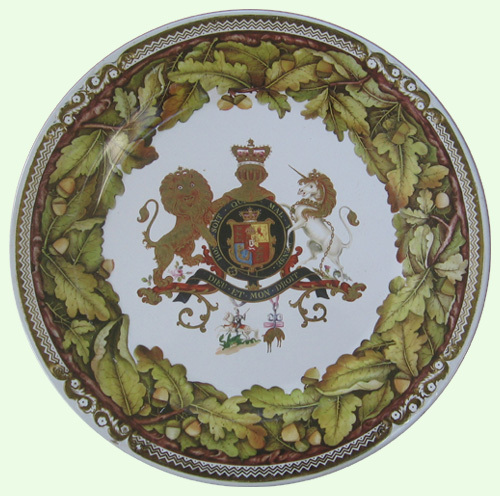 Painted with The Royal Arms with the Great George and the badge of the Golden Fleece, this plate was probably made as a trial piece for the Rockingham Coronation Service c.1830. 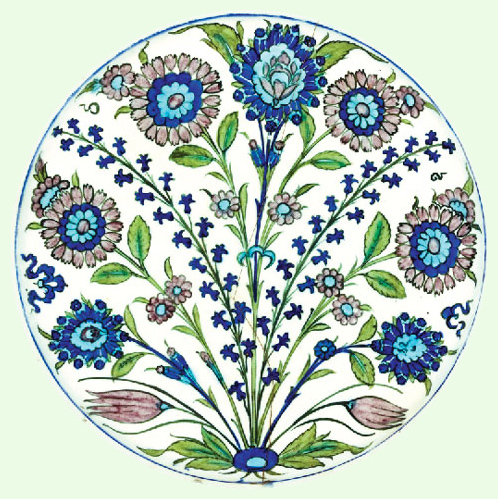 This pattern called Daffodil taken from a wallpaper designed for Morris and Co by John Henry Dearle circa 1895.